So it is rather convenient for a picker-upper when it’s too early for Mummy. 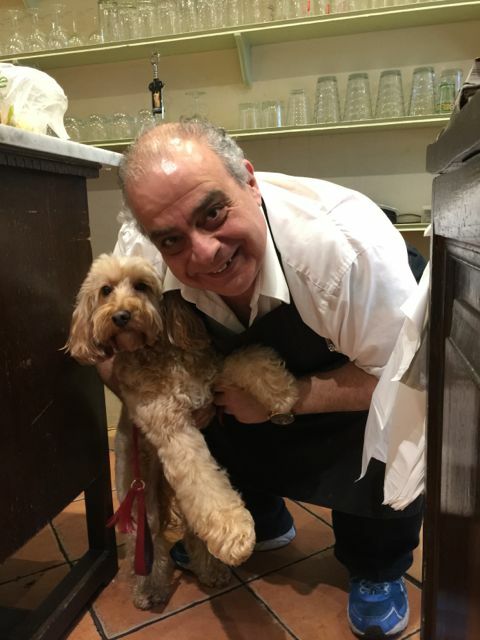 This is Victor and he told us a story how a regular customer who comes often with his two dogs were told off by another customer that the dog owner had no right to bring dogs into the restaurant. 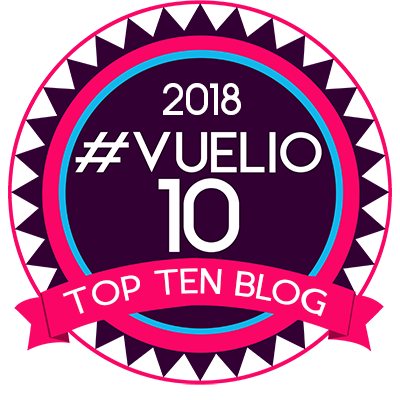 Victor told him off and said – he had no right to determine who comes and goes in that restaurant because it is not his place and refused to serve him any further. Thank you Victor for standing by us. We need more people like you. 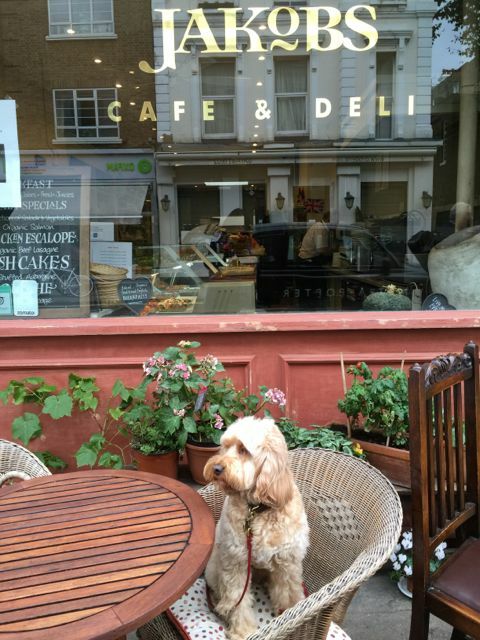 May’s comment: I’ve walked past Jakob’s Cafe & Deli so many times back and forth from the park and never thought this is a dog-friendly place. Never assume, always ask, I have learnt. 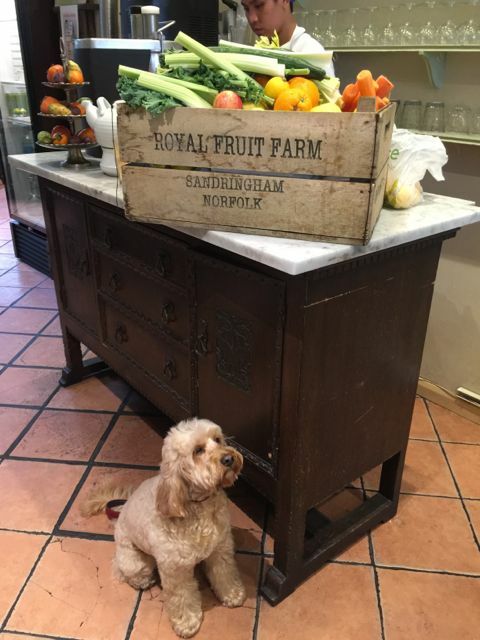 We have written about the dog-friendly places along Gloucester Road and managed to totally miss out on the one that is most welcoming. In their own words – dogs are always nicer than humans! Jakobs is a casual bistro. 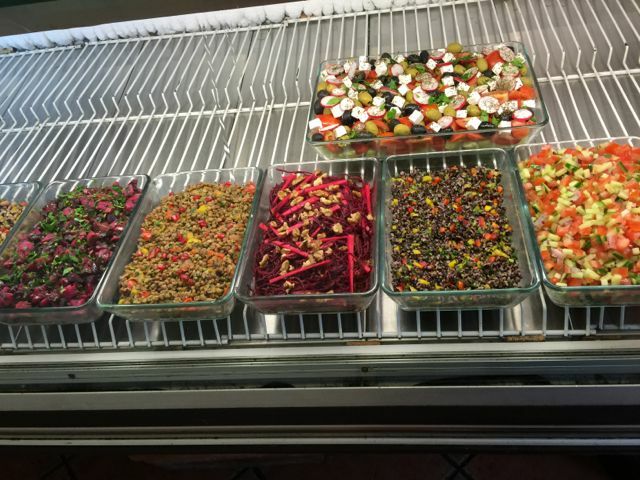 They serve an excellent choice of freshly Mediterranean-inspired and made organic foods served with a friendly smile. They are open for breakfast, lunch and dinner. 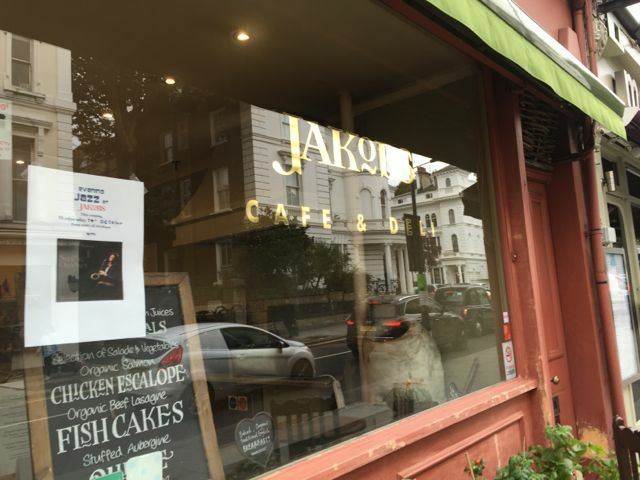 Jakobs is found in our Wine & Dine tab under Greek/Mediterranean cuisine. 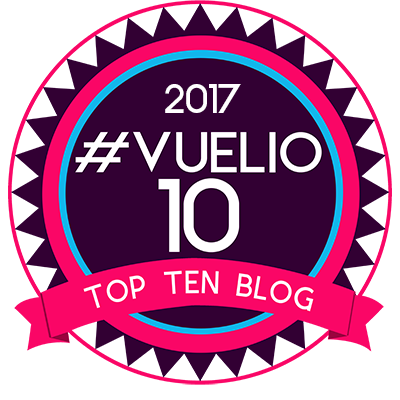 I clearly need to move! 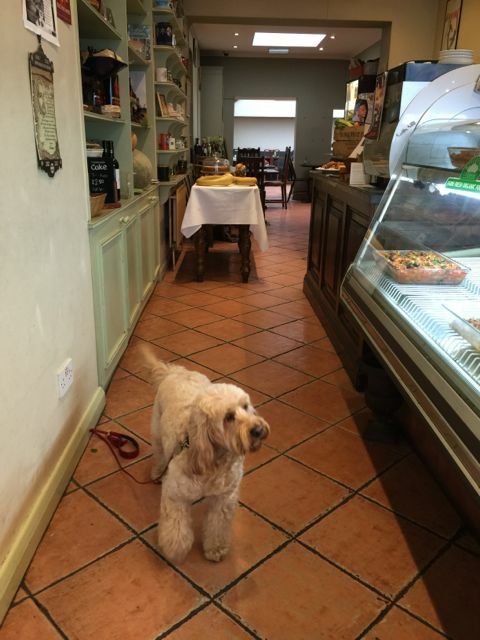 It’s a real struggle to find any restaurants, cafes or pubs near me who allow dogs in. They all say it’s against health and hygiene regulations!! ← That picture isn’t straight!